5 Tuesdays, January 8 - February 12 (no class February 5) 6:30 - 8:30 pm. Taught by Sengetsu Tricia McFarlin. In this course, we will read the first half of the Denkoroku, Keizan Jokin Zenji’s exploration of the awakening stories of the Zen ancestors from Shakyamuni Buddha to Bodhidharma. 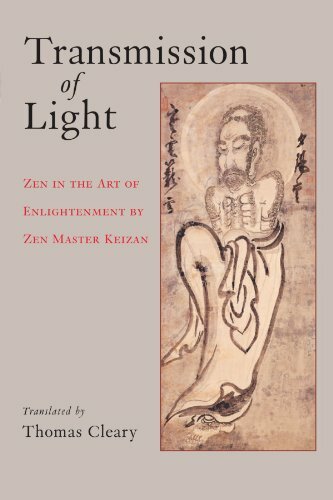 Keizan’s Transmission of Light: Zen in the Art of Enlightenment, written in 1300, explores the non-dualistic mind of awakening as it was experience, witnessed, and passed through the generations of Zen teachers. In each short chapter, Keizan presents the koan of that ancestor’s awakening and then offers his commentary to elucidate its significance, always encouraging his students to understand their practice. The second half of the class will be offered June 4 to July 16. Tricia McFarlin is a novice priest who is a long-time member of Zen Center. She is a former President of the Board. She teaches literature.